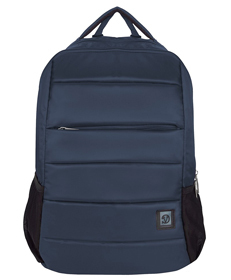 » Bonni Laptop Backpack 15.6"
the bonni laptop backpack is the perfect solution for carrying all your supplies. it comes loaded with two zippered compartments with separate tablet and laptop compartments inside, and organizational compartments for all your gear. an additional exterior security pocket is hidden behind the back padding for your valuables. the padded handles and back support allow for comfortable wear while providing the support you need on a long commute or while traveling. .